Word Search App is a free game app for Windows 8 where you need to find the hidden words in the word search grid, to get the maximum points. Well, this Windows 8 app lets you improve and expand you lexicon by making more and more words in a given period of time. In this Windows 8 game app, dodging alphabets appear in a horizontal, vertical, & diagonal way. You need to find words in whichever way you find, provide there shouldn’t be any space while creating a word. Windows 8 Word Search App has been categorized into three parts — Classic, First letter only, and Keep it going. 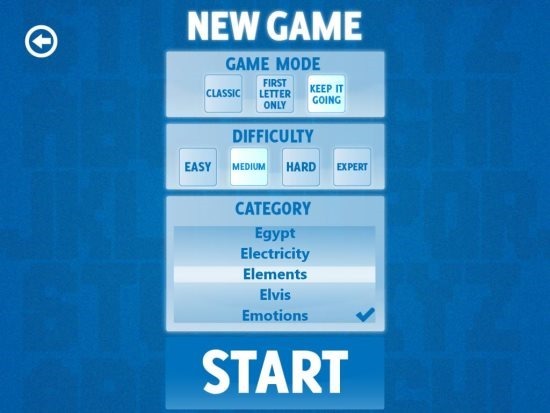 Each stage includes four levels — Easy, Medium, Hard, and Expert. You can even choose the category for selecting the types of words you want in your game and the available categories are love, medicines, music, nature, plants and many more. You can view the total points, total words found, and game played under the high score option which appears in the main interface. This game app for Windows 8. You can also take hint while finding words. Also, check out our post on Twitter App for Windows 8. 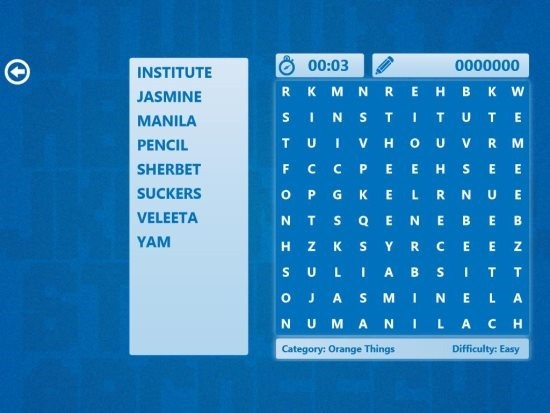 Word Search game app for Windows 8 is a good utility app, has been designed for those who love to take on the challenges. Go ahead and try this Windows 8 app available under the Spotlight category in Windows 8 App Store.